If Not Anthony Davis, Then Who? 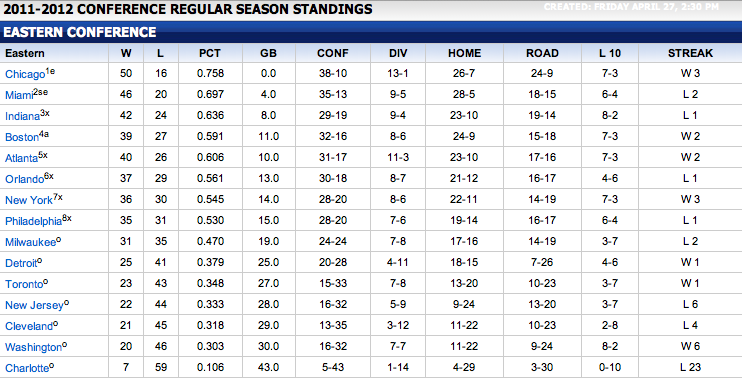 The Bobcats have been looking forward to the 2012 NBA Draft since, oh, about February 2011. Fortunately, Operation Ping Pong Ball was a huge success and the Bobcats have the best chance at winning the #1 pick (25%) in Wednesday night’s lottery. And even more fortunately, there is a clear #1 pick this year in Anthony Davis. 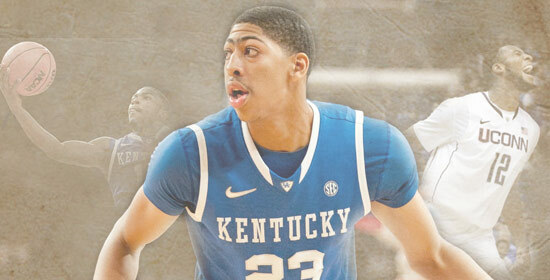 Drafting Davis would finally give the Bobcats a franchise player around which to build. He would complement Bismack Biyombo well; neither one is a prototypical power forward or center, but their talent and athleticism would allow them to play together, freely switching defensively on the other teams’ bigs and concentrating on their strengths on the offensive end. With Davis, the Bobcats would likely be able to lure a better coach this summer, and would improve appreciably on the court right away. Then they would have another first rounder (or two) in 2013 and, most importantly, tons of cap room to lure a top free agent in summer 2013. 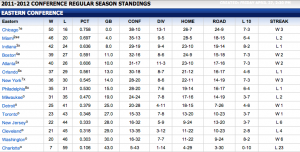 Yes, if the Bobcats get Anthony Davis in 2012 I think they very well could be in the playoffs by the 2013-14 season. Unfortunately, there is a 75% chance that the Bobcats will not win the lottery, and will instead be picking second, third, or fourth. And most unfortunately, there are no surefire All-Stars after Davis. The once-vaunted 2012 NBA Draft has turned into a bunch of question marks. Let’s be clear: it will be an absolute tragedy if (when?) 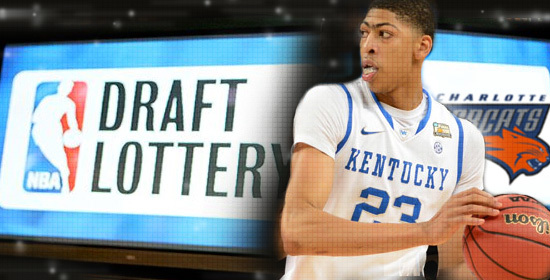 the Bobcats don’t win the lottery Wednesday night. The players that will be available with picks 2-4 either have ceilings below “superstar” and/or have significant bust potential, making the Bobcats’ road back to relevance even longer. But there’s no use crying over spilled milk. And superstar or not, pick 2-4 should still significantly improve the team. The consensus is that there is no sure #2 or #3 pick this year and that what we have instead is a second tier including Michael Kidd-Gilchrist, Andre Drummond, Thomas Robinson and Bradley Beal. When considering players in the same tier, team needs/strengths necessarily come into play. While the Bobcats do have the least talented roster in the league, there are some relative strengths that would be foolish to ignore. Probably the most striking is that the Bobcats have a glut of young and skilled, but either soft or undersized big men: Bismack Biyombo (undersized), Byron Mullens (soft), DJ White (soft), Tyrus Thomas (???). So basically, power forward is not a position of need — unless that “power forward” is Anthony Davis, a hybrid power forward/center with singular talent a la Tim Duncan. I also think that Gerald Henderson at starting 2-guard is a relative strength. He has limitations, especially on the offensive end, and will never be an All-Star. But he’s cost-effective (and likely to stay that way even after his rookie deal runs out), a good defender, and still has some potential to improve offensively. With that in mind, here are some thoughts about what the Bobcats might do with picks #2-4. #2: There is a 21.5% chance that the Bobcats will end up with the second pick. It’s not a bad place to be, what with your choice of anyone not named Anthony Davis. But it will come with a lot of pressure to pick the right guy, and not the bust. I think most teams, the Bobcats included, would probably go with Michael Kidd-Gilchrist at #2. He has prototypical small-forward size (6’7″, 225), plenty of athleticism and is a strong leader. He’ll be a solid defender, and possibly an elite one, at his position. Offensively, he’s an amazing slasher/finisher who needs to work on his range and shotmaking. I really like the “Gerald Wallace, but with more offensive potential” comparison. Finally, there is low bust potential with Kidd-Gilchrist, which is an important consideration when picking at #2. For the Bobcats, Kidd-Gilchrist is a fine fit. At his position, the Bobcats currently have Corey Maggette and Derrick Brown. The end of Maggette’s time as an NBA starter is rapidly approaching, if it’s not already here. He’ll be on an expiring contract in 2012-13, so would possibly be a nice trade chip for a contender at the deadline. Brown is a nice backup. So Kidd-Gilchrist could step in and own the starting SF spot for the Bobcats for the next decade. His perimeter defense, toughness and leadership are sorely needed. And the Bobcats would just pray that the offense comes along. #3: The Bobcats have a 17.7% chance of getting the third pick. Things get even trickier here, as you can’t be totally sure of who’s going to be available. But assuming Kidd-Gilchrist goes second, then Andre Drummond, Thomas Robinson, and Bradley Beal would all be in play here. I believe the Bobcats would opt for Andre Drummond. Drummond has ideal size (6’11”, 270) and athleticism for the center position and will be able to contribute defensively right away, but will need time and hard work to develop offensively. A big bonus is that, like Davis, Drummond would mesh pretty well with Bismack Biyombo. Whoever ends up being the nominal power forward or center doesn’t matter — they can play together and switch freely while defending the opponents bigs. However, Drummond’s heart, motor, and even desire to excel at basketball have come into question after an underwhelming freshman year at UConn. Consider what DeMarcus Cousins recently did with similar size and skills in his one-and-done year — he dominated. But Drummond wasn’t even in the same ballpark in regards to efficiency or impact, and could disappear for whole games at a time. If teams don’t like where his head is at during workouts/interviews, he could slide down some boards. Combine the rawness on the offensive end with a motor that doesn’t run very hot and questionable work ethic, bake at 350° for 35 minutes and whala! Bust. But if he works out hard and says the right things during the draft preparation process (not that hard), he could be in the mix at #2 for some teams, the Bobcats included. Even with red flags looming, most teams will be willing to take a chance on Drummond’s combination of size and skills with a high pick. #4: If the Bobcats slide to the fourth pick (a 35.8% chance), it could get really dicey. There’s a decent chance that Bradley Beal could go #2 or #3; thus, Drummond would still be available at #4. That’s maybe a better place to pick Drummond anyways. But for my purposes here, let’s assume that Kidd-Gilchrist and Drummond go 2-3. It comes down to Bradley Beal or Thomas Robinson. Beal is a slightly undersized, but physically solid, 2-guard in the mold of Eric Gordon. Thomas Robinson is a relatively refined and well-rounded power forward who was productive as the centerpiece of a very good Kansas team last year. Both are similarly low-risk. You see the problem though, in that each would duplicate one of the relative strengths that the Bobcats currently have. The argument for Beal is that he probably has a higher ceiling than Robinson, and would provide some sorely needed outside shooting. The argument for Robinson is that, while the Bobcats have some power forwards, they don’t have a prototypical, tough, well-rounded one. But I don’t think he fits well with Biyombo, in that Robinson doesn’t have the size to defend centers. Any big that the Bobcats consider really needs to have that ability, in order to take some of the load off Biyombo. It would be a dilemma, but with the Bobcats in search of star power and an identity, I think the pick would be Beal. But it also wouldn’t surprise me to see Perry Jones or Harrison Barnes get a long look if the Bobcats do slip to pick #4. I’ve really worked to figure out how to do a post-mortem on the wreck of the Bobcats season. Then, I saw this video. Amazing.